FULL FOOD BOOTH MENUS for 2019 Epcot Flower and Garden Festival Outdoor Kitchens! 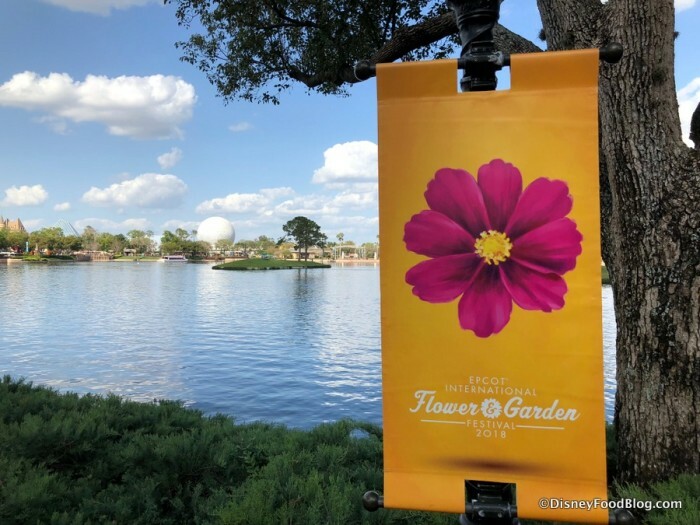 The 2019 Epcot International Flower and Garden Festival will run from March 6 – June 3, 2019. And today we’re bringing you the FULL MENUS for the Festival’s Outdoor Kitchens! 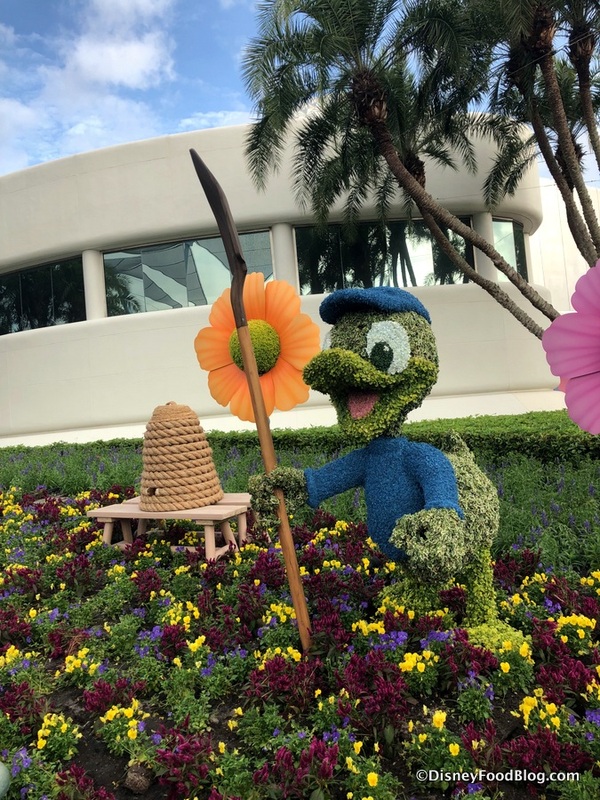 This annual celebration of all things that bloom features gorgeous themed topiaries around the park, the Garden Rocks Concert Series, and much more! And our personal favorite feature of the Festival is the Outdoor Kitchens. 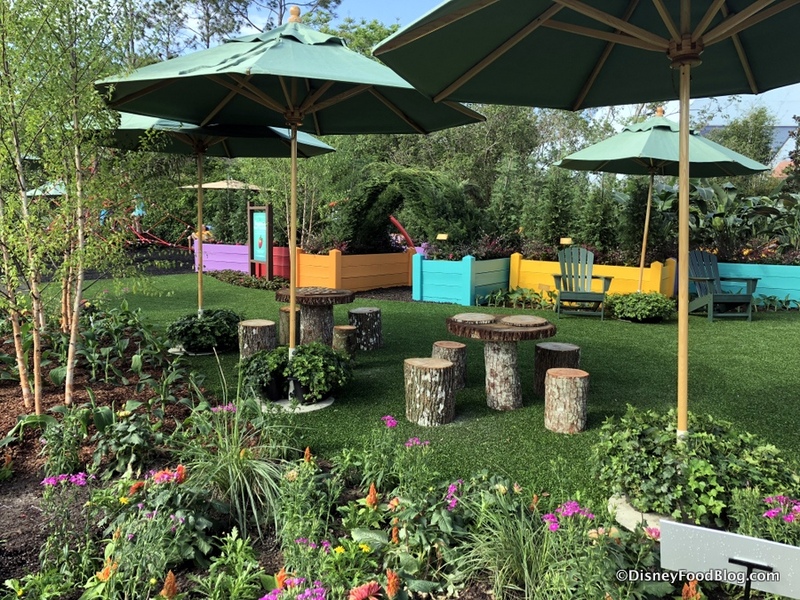 These food booths, similar to the Marketplace Booths for the Food and Wine Festival — focus on flavors fresh from the garden for Epcot’s spring festival. And today, we have the FULL MENUS for the Outdoor Kitchens! Check out the FULL MENUS for the Flower and Garden Festival Food Booths here! 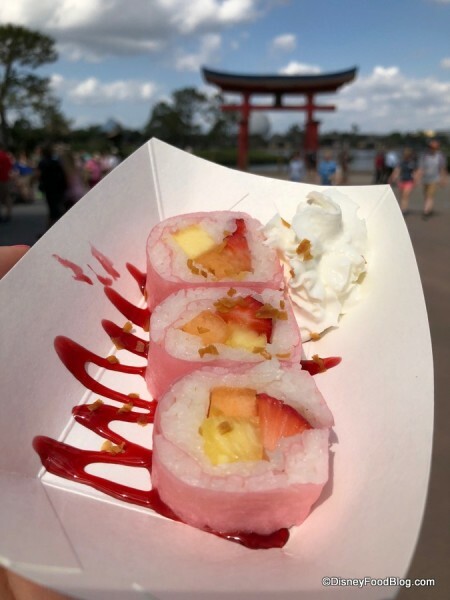 There will be a total of 17 Food Booths for 2019 (PLUS additional locations with specialty items around Epcot including dedicated Festival items at Taste Track and the Refreshment Port) — and that’s an unprecedented number for this Festival! Returning favorites and all-new flavors will make up the offerings, so let’s take a look! NEW BOOTHS will include Arbor at The Gardener’s Terrace! 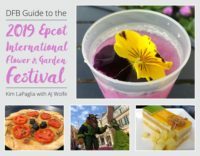 Look for Fried Green Tomatoes with Blue Crab-fennel Salad, Remoulade and Smoked Paprika Oil and Mixed Berry Buttermilk Cake, served with Apple Cider Sorbet among the offerings at this celebration of the results of spending time in the garden! AdventHealth will host the Flavor Full Kitchen! This focus on healthy cuisine will feature Citrus-poached Salmon with Ancient Grain Salad, Roasted Vegetables, Citrus Greens and a non-alcoholic Blood Orange Aqua Fresca among the choices. The Citrus Blossom is also new, and lemon, orange and lime flavors will bring their brightness to dishes like Lobster Tail with Meyer Lemon Emulsion and Grilled Lemon and Citrus Shortcake. Also new is the Trowel & Trellis hosted by IMPOSSIBLE Foods! Grilled Street Corn on the Cob with Savory Garlic Spread and a Farmhouse Meatball with Lentil Bread, Spinach, Marinated Vegetables, Creamy Herb Dressing will be among the all-vegetarian dishes here! 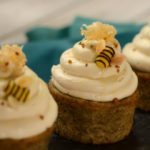 Be sure to check out our FULL MENU Page to see if your favorite items are coming back this year! 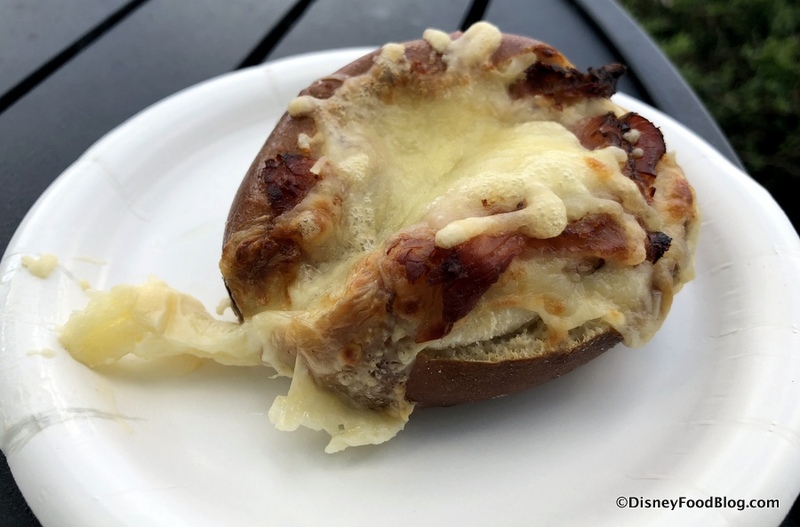 For now, we’ll just remind you of a few of our favorites from the the returning Festival booths and items, like the Toasted Pretzel Bread topped with Black Forest Ham and Melted Gruyère Cheese at Bauernmarkt! 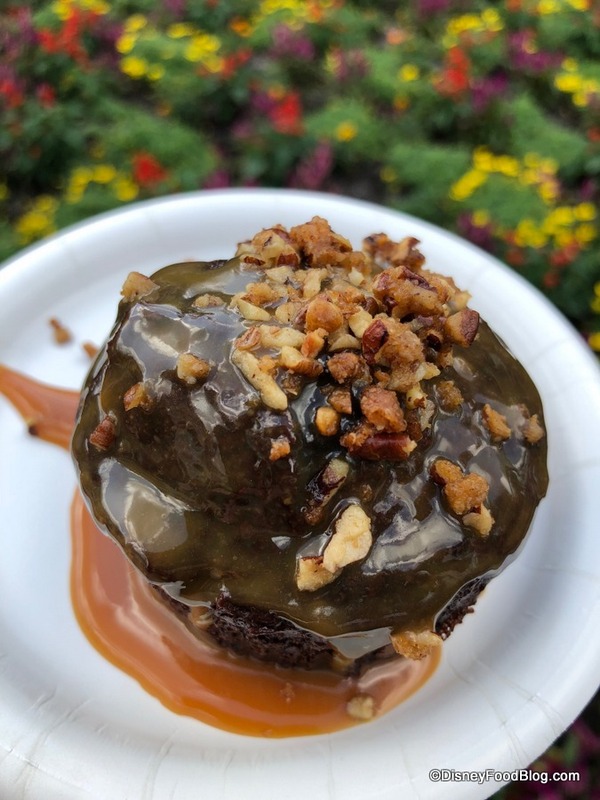 The SMOKEHOUSE will bring back the Warm Chocolate Cake with Bourbon-Salted Caramel Sauce and Spiced Pecans. And, of course, Frushi is coming back to Hanami! Other returning booths this year include Florida Fresh, Lotus House, Northern Bloom, Pineapple Promenade, and more! 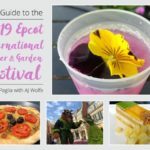 Check out the FULL MENUS for the Flower and Garden Festival Food Booths by clicking here! 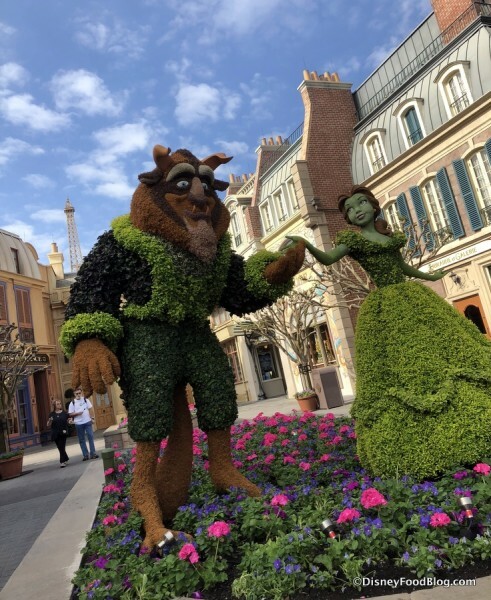 You can see it ALL on our Flower and Garden Festival Food Booths page! 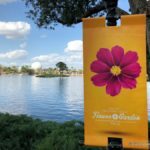 Are you going to the 2019 Epcot Flower and Garden Festival? Please let us know with a comment! It’s HERE! 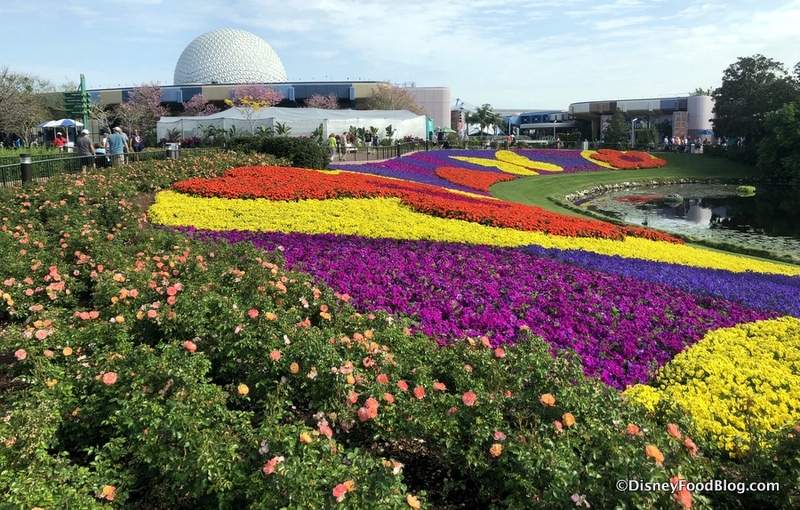 The Brand NEW DFB Guide to the 2019 Epcot Flower and Garden Festival is Now Available! 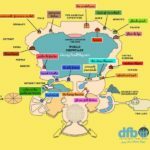 The Disney Food Blog EXCLUSIVE 2019 Epcot Flower and Garden Festival MAP Is HERE! So excited for this! I am going to be making a PLAN. We are planning a trip in May for F&G and are considering the QSDDP to use at the Outdoor Kitchens. In the past for F&G and F&W you could use a QS meal credit to choose three items and a beverage (soda or water) as long as it was at the same booth. This is our first trip since alcoholic beverages were added to the DDP. Any idea how this will work now with using meal credits at the booths? Will I be able to choose three items and an alcoholic beverage in exchange for a meal credit? If so, it would definitely make purchasing the plan worth it. 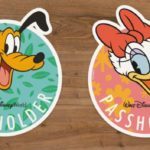 Tricia, the use of QS DDP hasn’t changed at the booths — one QS meal credit can be used to purchase three snack credit eligible items from a single booth in one transaction. Alcoholic beverages are not included.